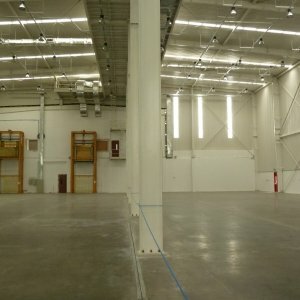 The Finished Goods Warehouse is equipped with a very narrow aisle (VNA) racking system. Consequently, it is very important for VNA vehicles to be able to operate at optimum speed safely with minimum vibration. 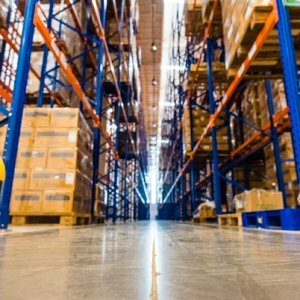 To attain such requirement, the 2,700-square-meter warehouse floor needs to be compliant with the ‘Superflat’ specification. 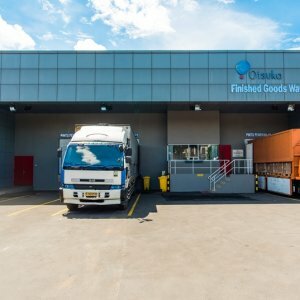 To ease the curing process and to avoid imperfection, the project team opted to erect the roofing, structural steel and perimeter walls first before placing the warehouse slab. Through careful and detailed planning, the Harjaguna team and the concrete subcontractor constructed the ‘Superflat’ concrete floor successfully. 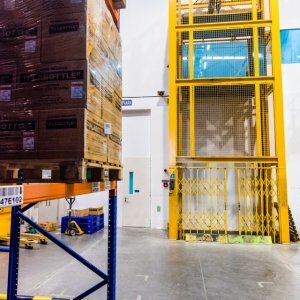 The warehouse is also equipped with two warehouse cargo elevators, a 60-square-meter cool room, 16-square-meter office space, and three loading docks.